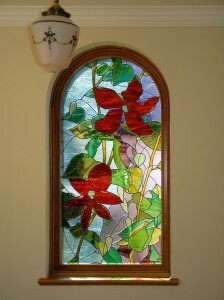 Clematis picture window finally installed. 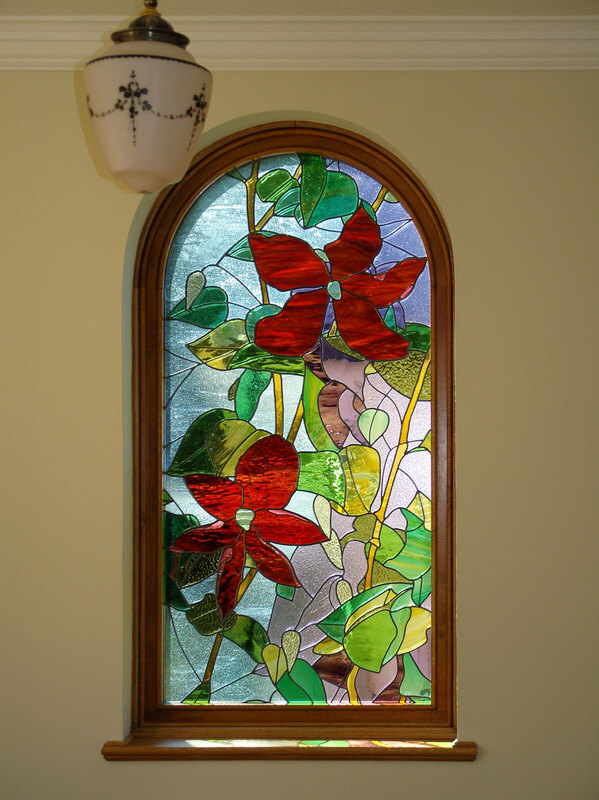 The brief for this private commission was to create a picture window which was to serve both as an artwork and as a way to obscure the view of a garage wall outside. The client wanted a floral design mainly in muted colours but with striking red flower heads. It also needed to tie in with other artworks in other media elsewhere in the house. The panel took some time to make as it is over 1.4 m tall and 0.7m wide and contains some very small pieces of glass.